Ride In The Best Bachelor Limo Ride in Mississauga! Limo Service Bachelor Limo and Bachelorette party fun! We know that you are excited about getting married, who would not be? We also know that your night out as a bachelor or bachelorette needs to be a night you will remember. With our limo services we do just that. We love to cater to your needs and plans as you go out on your special night to have fun and excitement. You can leave all of the fun and exhilaration to us as we plan your party, specifically to your needs. With the party centralized around your last night as being single, we are here to make it a night you will not forget. 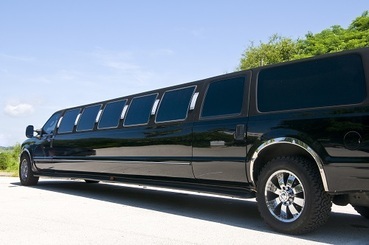 Here is some great attributes that you will love from Limo Service Mississauga. • With a ton of different choices that you can choose from, in our lineup of limos, we have just the limousine that you need to get the party started for your fun filled night. With either the Limo Bus or the Party hummer at your disposal, these great limos are designed just for a fun filled night on the town. It can hold as many people that you want in your party, and it offers only the best in style and glamour. These great limos will catch your essence and have people turning their heads as you exit and enter. We know where to take you! • With your party in mind, our staff and drivers know all the great hop spots in the city to take you too. Maybe a hidden jewel that you didn’t even know about. Your party means a lot to us as we chauffeur you around the city. We know of many great spots to kick off your fun, including hot dance clubs, strip clubs for the men, as well some well desired bars and live entertainment. No matter where your heart desires, our limo will get you there in ease and fashion. It is your party, be as LOUD as you want! • With the party in mind, you can be as loud and proactive as you want. We want you to enjoy the great features of the limo including the sun roof for spectating, or pump up that radio and have a blast singing and dancing. Whatever you desire in the limo, you can do. With these little limitations, you can enjoy yourself and the party that you have going on! You are our VIP of the night: Relax and enjoy yourself! With your bachelor or bachelorette party, you are our VIP for the night, you will be treated as royalty as you use our limo services. With this grand treatment, you will enjoy a fun filled night of relaxation, excitement, as well as freedom of being single one last time. We strive for your 100% satisfaction and approval. With our professional staff, and well versed and trained drivers, your bachelor or bachelorette party will be a night that you will never forget! These services start now, call or click to get your party started today!